Barricade and Detectable Tapes are used for crowd control and for marking underground utilities. Detectable Tapes are used for marking and are available for a wide variety of applications while Barricade Tapes are used to cut off specific areas. 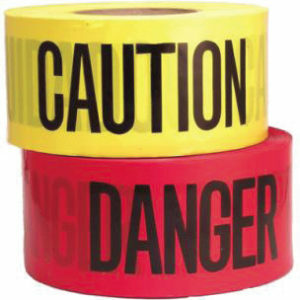 Barricade tapes may convey a “Caution” message or other messages such as “Police Line: Do Not Cross.” The detectable tapes are designed for underground use to allow for recognition of water lines, gas lines, or electrical power lines. They meet or exceed American Public Works Association standards and are permanently printed for long life in extreme environmental conditions.